Fall is just a couple of weeks away now, which I am really happy about, I love the fall and I would not mind some cooler weather. That also means that Halloween is next month. My kids have started talking about what the will be dressing up as, although they may change their minds a few times between now and then, and I have started thinking of Halloween projects. 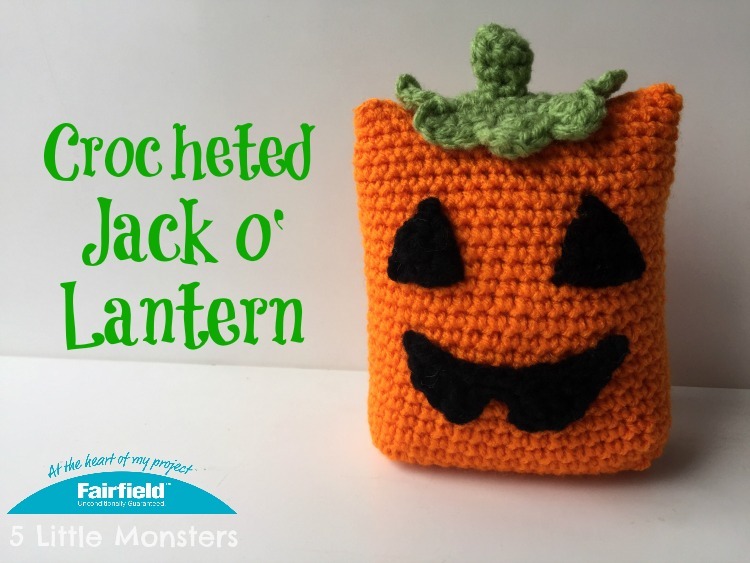 Yesterday I posted a crocheted Jack o' Lantern over on Fairfield World and I thought I would share the link over here. I was trying to think of some fall/halloween themed projects that I could make and while I was sketching out a few ideas my husband suggested that I maybe I could use the same basic design that I used to make my Boxy Bear and other Boxy animals to make a Frankenstein. I thought that was an interesting idea and came up with a few halloween themed designs based on that shape. 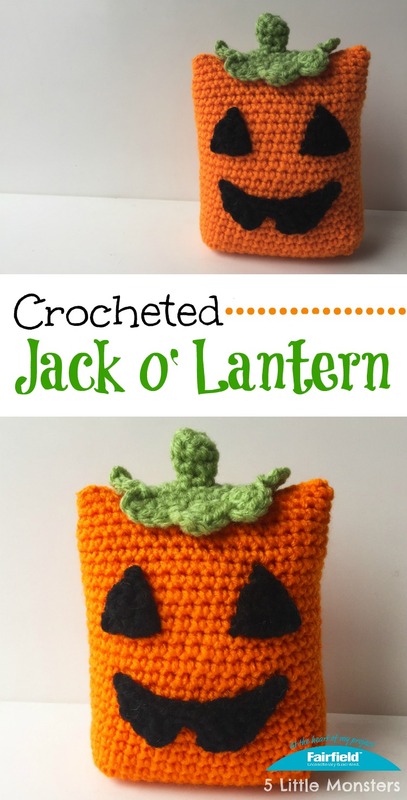 I decided to make a Jack o' Lantern first, but Frankenstein is coming too. 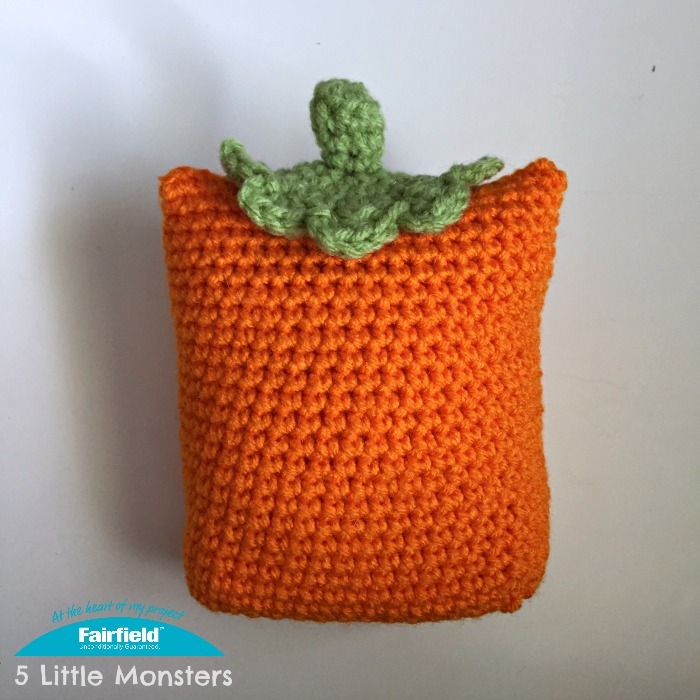 The pumpkin is really a pretty easy one to make because the orange part is just solid orange, no color changes or things to add. The hardest part was figuring out how to make a mouth but I got that figured out and written down. 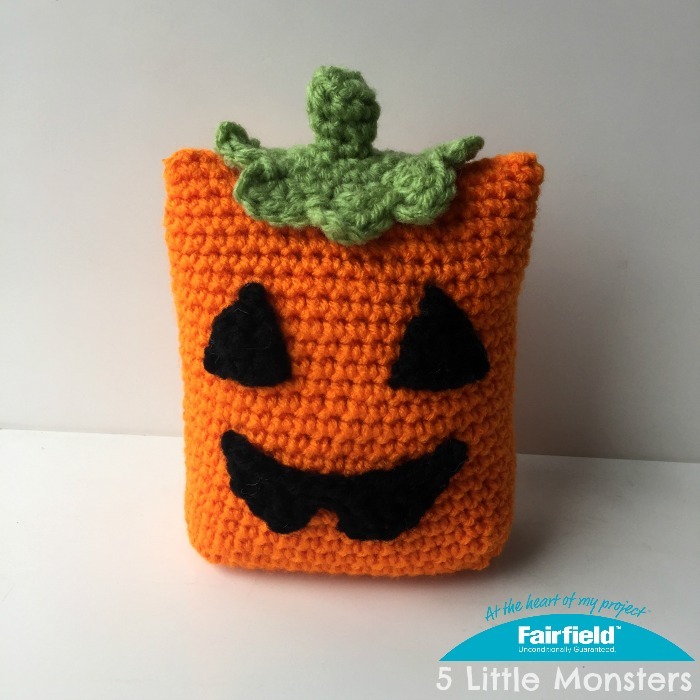 If you don't want to make the face you could just leave it plain and it would still be a cute pumpkin decoration that could be used throughout the fall, not just for Halloween.